The so-called yellow vests have been holding demonstrations across France for the eighth weekend in a row, protesting against government policies. In a now-deleted tweet, Sweden’s Ambassador to France Veronika Wand-Danielsson wrote that yellow vest protesters had lit a fire outside the embassies of Sweden and Tunisia in Paris. “And where are the police? Thanks to friendly neighbours we were able to extinguish the fires”, she tweeted on 5 January, attaching photos to the post. TWEET: “It's good to know how to put it out, now it will be necessary to be able to extinguish it. For information: it is not the police who extinguish the fire but the firefighters. For information: the police have not yet invented inspector gadget to be able to be everywhere at once. Kisses Sweden”. C'est bien de savoir l'éteindre, maintenant il va falloir pouvoir l'éteindre. Pour information: la polie n'a pas encore inventé inspecteur gadget pour pouvoir être partout à la fois. A fellow Twitter user mockingly wrote in Swedish: “I hope you were quick to extinguish [it] as this little bonfire would have burned out in 10 minutes”. J'ai vraiment trop honte de la France en ce moment…. TWEET: “As a French citizen, I modestly apologise, Madame Ambassador. These actions are unacceptable, do not represent the majority of French people and the respect they have for your country”. En tant que citoyen français, je vous présente modestement mes excuses, Madame l'Ambassadeur. Ces actes sont inacceptables, ne représentent pas la majorité des français et le respect qu'ils ont pour votre pays. The demonstrations have been ongoing nationwide since mid-November, with French people initially protesting against a hike in diesel and gasoline taxes. 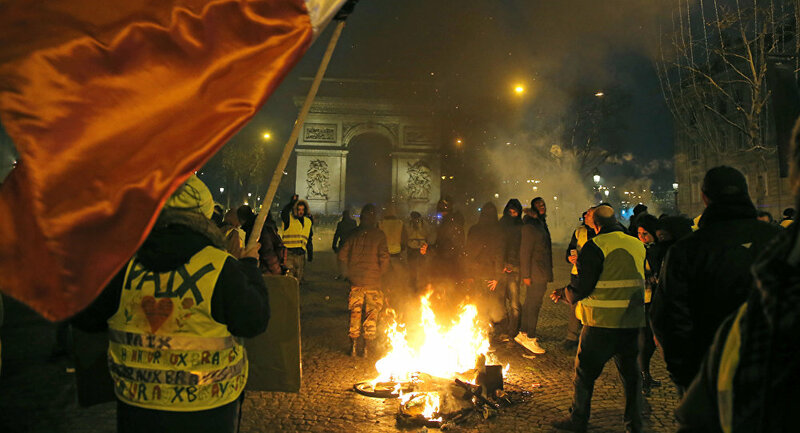 Despite the fact that the French authorities scrapped their plans, the protests evolved into a broader movement against government policies and rising living costs. Rallies have been marked by violent clashes between demonstrators and French police, who have been forced to use tear gas and batons to stop the crowd.